We are an office supply manufacturer and wholesaler. We can provide kinds of office supplies, our office files are of good quality and reasonable prices. Here is our document wallet. If you click the icons below this picture, you will turn to other similar products pages. They are for different office uses. Welcome to choose upon your needs. 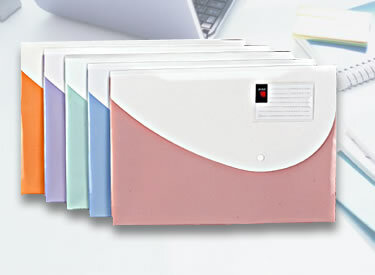 The document bag is widely used to keep different files and archives etc. in offices or at home. Deli is a professional office supplies provider in China. Our file keepers, bookbinding tools, cutters and writing instruments are all in high quality. Welcome to choose. » Lever Clip File1. Material: Imported environmental protective PP material from Korea. 4. Customer-oriented design: single fold with several inside pockets.